Sylvia Vigliani is an artist living and working in the Bronx. She taught K-12 art in public and private schools in the U.S. as well overseas. 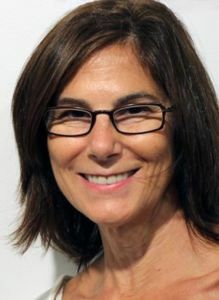 In 2015, She retired from full-time teaching as Chair of the Art Department in the Eastchester Public Schools, and has since been actively working in a range of media, including sculpture, mixed media photography and oil painting. Having earned a BA in Fine Art from Brandeis University, and two postgraduate degrees in Arts and Humanities from NYU, she pursued her combined career as an artist and an art teacher. She subsequently completed further studies in painting at the New York Academy of Art and the Art Students League. Aside from formal degree work in the U.S., she spent six years working and studying in Italy, England and Germany. She received training in sculpture at the Accademia di Belle Arti of Torino, and subsequently earned a residency in Pietrasanta at the Sem Ghelardini Marble Laboratory. She was also awarded artist residencies in photography in the Burren, Ireland and the Instituto di Santa Reparata in Florence. Upon returning to the U.S., she earned sculpture residencies at the Vermont Studio Center and the Master Workshop at Southampton College. Her art is deeply informed by her European training, and her passion for ancient and classical art. More can be found on her website, www.sylviavigliani.com.